It's probably the most critical period for your credit: that golden window right before you sign for a mortgage.But it's also one of the times when your credit is the most vulnerable. You're submitting applications for loans, filling out forms for real estate agents and mortgage brokers with all kinds of personal data, and (if you're also selling a home), inviting strangers into your house. If you've kept a good score all these years, the last thing you want to do is sink it now when you really need it. Here are four ways to protect your credit right before you buy. Create a news alert for "smart spending"
"The biggest thing people have to worry about is getting too many hits on their credit reports," says Ed Mierzwinski, consumer program director with the U.S. Public Interest Research Group.A lot of experts advise submitting all mortgage applications within 30 or even 45 days because, if submitted during this window, they count as one on your credit report.Not always.While the latest versions of the FICO software allow a wider window, a lot of lenders still use older versions of the software, says John Ulzheimer, president of consumer education for SmartCredit.com. That means you should play it safe and submit all mortgage applications within a 14-day period, he says.While you're shopping mortgages, lenders may be shopping you, Mierzwinski says. His advice is to apply only to companies you seek out, and skip those that contact you first. The other challenge is keeping your credit card balances low. To get the highest credit score, you want to keep your use of cards to 10 percent or less of the limit, and use only one or two cards, Ulzheimer says. 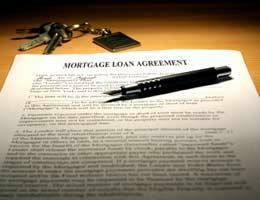 Pay bills in full, and delay opening any new accounts until after you've closed on your home. 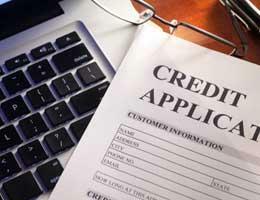 Which credit inquiries hurt credit scores? If you're selling a home, you'll probably have strangers walking through. Time to get organized. Put bills and financial papers -- anything with names and account numbers -- in one box, preferably with a lock. Put that box on a high shelf in a closet, marked "family photos" or something bland. Pack up decorative items with personal information such as marriage certificates, diplomas and family trees, says Ron Phipps, president of the National Association of Realtors. And don't leave computer passwords taped to your desk. Box up small valuables: personal electronics, coins and collectibles, cash, jewelry or other treasures, says Pat Vredevoogd Combs, former president of the National Association of Realtors. Another target: prescription drugs. "There shouldn't be any on the premises," Combs says. Select an agent licensed by the state and registered with your local board, Combs says. And be realistic: No one can completely control everyone's movements during an open house, she says. Deal with one person at the lending company. That way, you minimize the number of people who have access to your paperwork. Send papers by fax or snail-mail. 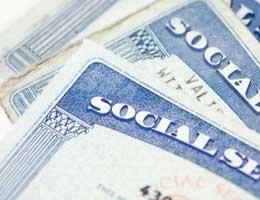 Ask that anything with your Social Security number or other vital data not be sent via email. Ask to see where and how your information will be secured. "For me, on a desk is not a safe place," Beltran says. When you make an offer, consider a cashier's check instead of a personal check for the earnest money deposit, says Michael Gilbert, detective with the Montgomery County, Pa., Detective Bureau. That way, you're not sharing your bank account numbers, he says. Create a news alert for "mortgages"
This might be the time to be more proactive with your finances.If you regularly check in with your card bills monthly (at bill-paying time), you might want to do it weekly online -- just to make sure all the charges are yours. 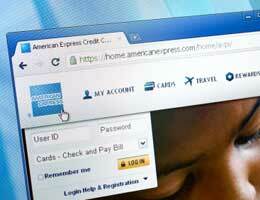 "Almost every credit card company has a program to allow you to have any unusual charges noted," Phipps says. "When you've got your house on the market, it might be a more important time to have those security systems in place. "Credit bureaus offer credit watch services aimed at alerting you if someone obtains credit in your name.While "locking" or "freezing" your credit (a request that ensures no one but you can view it), can make it tough for thieves to open accounts in your name, it could interfere with the final approval of your loan, Ulzheimer says.And, while your home is on the market, be careful in what you release about yourself over social media, Combs says. It's probably not a good time to announce you're going on a two-week cruise, she says. "It's a different world out there."